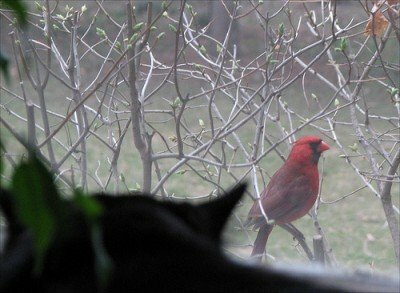 At my house, we’ve recently had a bright red cardinal start paying us a daily visit. He seems to like the feathered wreaths my wife Angie hung in our front sitting room window. He likes to perch himself on the weeping cherry tree next to the window, and every 30 seconds or so, he flies straight into the window, banging his beak against the glass, but never gaining access to the feathers he’s so enthralled by. Our cat Sammi will sit on the chair and watch him for hours. Like a lot of birds, when it comes to windows, he just can’t seem to see the barrier in front of him. So he continues to bang on that window day after day, never making any progress toward his goal of meeting his feathered “friend”. Do you feel like that bird, just banging your head against an invisible barrier that keeps you from achieving your goals or purpose in life? We can be just like that cardinal sometimes, in that when we get stuck in life, we just continually bang our heads against the glass, day after day, hoping something will change. Even when that invisible barrier becomes more obvious due to the oil and dirt that collects after banging on the glass so many times, we continue on… Bang………. Bang………… Bang. When it comes down to it, if you want your finances, career, relationships, or anything else in your life to change, you have to start thinking and doing things differently. Here are 3 basic, but very important things you can do to stop banging your head and start changing your life for the better. Renovate Your Mind- If you want your life, your job, or your relationships to change, you have to start thinking differently. The same old thought patterns and limiting beliefs will get you the same results. Get educated about your situation. Read what the Bible has to say. Read books on the subject. 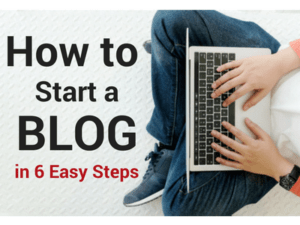 Find out what you need to do for a change in your thinking to take hold. Renovate Your Actions- Once you start thinking differently, then you have to start acting differently. Need to heal your marriage? Spend more quality time with your spouse. 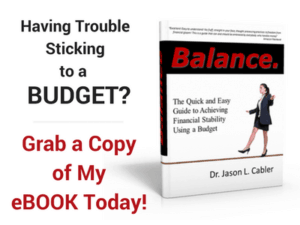 Find ways to make more money and pay off debt. Develop new habits that will move you forward and bring lasting change to your life. Practice the Art of Subtraction- Whenever you renovate anything, whether it’s a house, your mind, or your actions, you have to destroy a few things first before you can add better things later. In a house, you may have to take out a wall to make the room bigger. In your mind, you may need to eliminate negative thought patterns and limiting beliefs. You may need to limit time with certain people or eliminate bad habits that hold you back. Will the Cardinal Ever Figure it Out? As that cardinal keeps returning day after day, I wonder if he’ll ever understand that continuously banging his beak against the window is never going to allow him to get what he wants. All he’s getting is a sore beak and a lot of frustration. I’m waiting for the day when he finally starts thinking and acting differently and flies into our house when we open the front door. 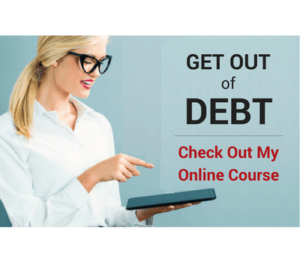 If you’re tired of banging your head against the wall in your finances, your relationships, or your career, you may want to take a minute and check out my online get out of debt course or my bookstore full of titles picked out just for you, just for these areas of life that we all struggle with at one time or another. Most of these are books I’ve read that have renovated my mind in one way or another over the years. You won’t be disappointed with what you find there. Question: Are there any thoughts or habits you need to renovate in your life? Is there anything you need to subtract? Leave a comment and tell me about it. The Best, Risk Free, High Yield Investment on the Planet! Great analogy and I think the kind thing to do would be to take down the wreaths before the poor bird injures himself. I was informed by another reader that it’s probably not the wreaths, but him seeing his reflection in the window and attacking it because he thinks the reflection is an intruder in his territory. I have to put something over the window so he won’t see his reflection. Thanks for the concern Rachel!